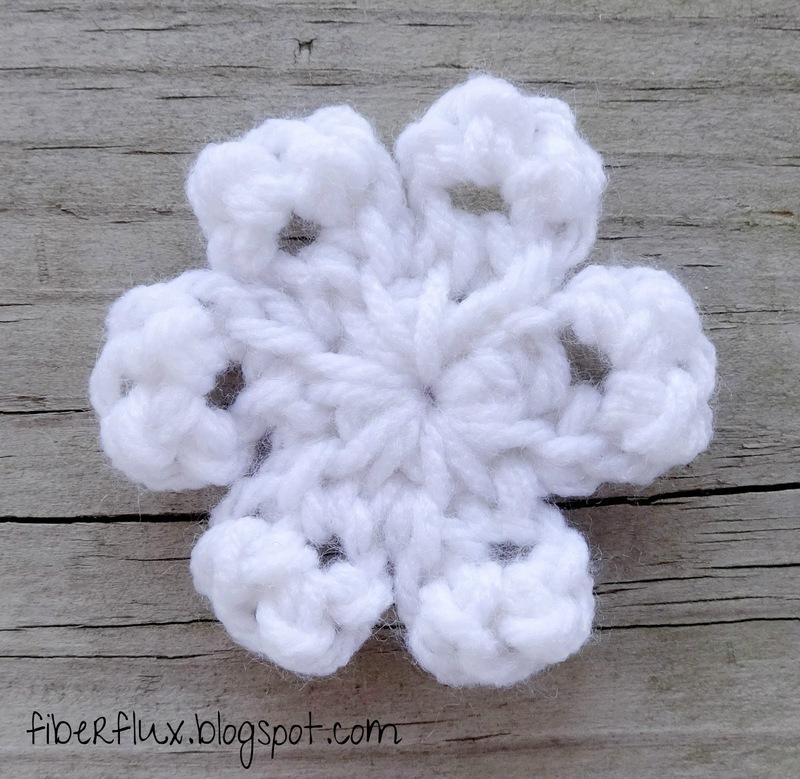 Fiber Flux: Free Crochet Pattern...One Round Snowflakes (3 Ways)! 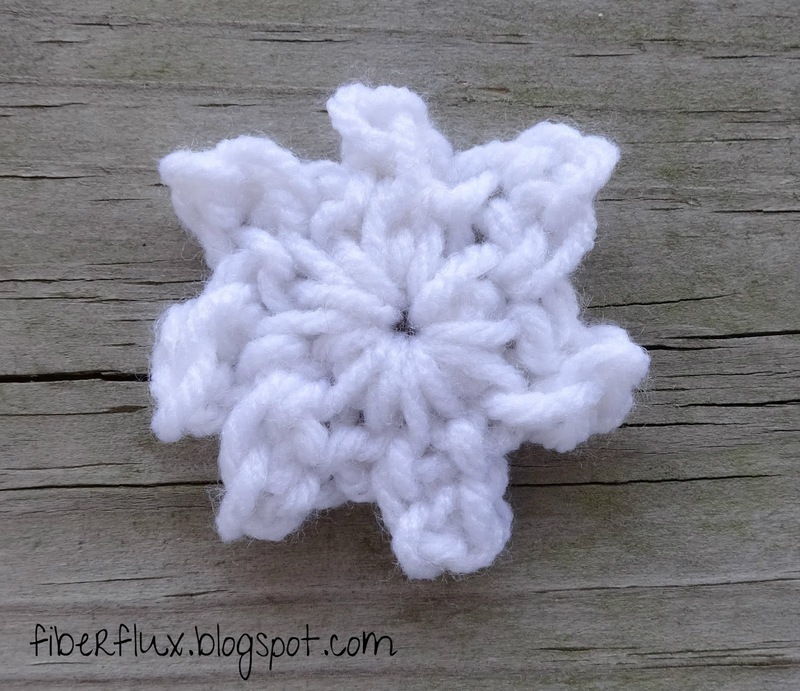 Free Crochet Pattern...One Round Snowflakes (3 Ways)! 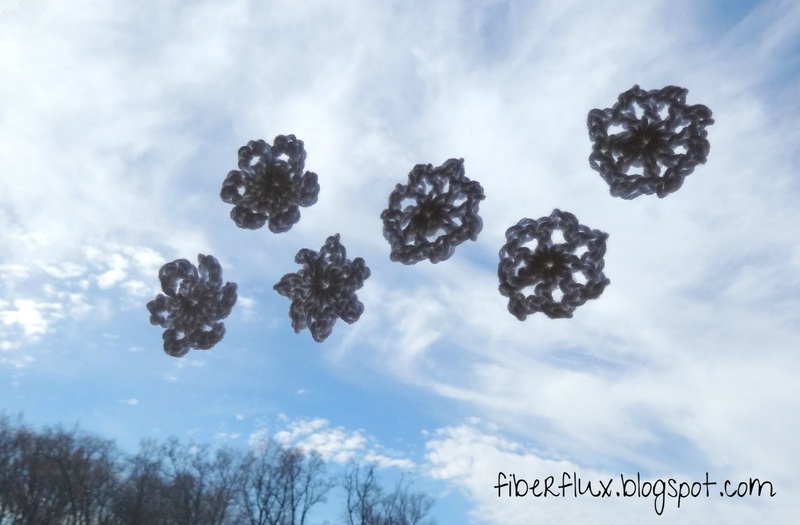 These one round snowflakes are so easy and fun to make, you'll want to create a whole winter wonderland! Use them to decorate a gift, hang them in a window, or make a garland out of them too. Three variations make for an interesting variety. Ch 4 and join to form a ring. Round 1: *sc, ch 2. In the second ch from the hook, work 4 sc. Work a sl st into center of ring. Repeat from * five more times. There should be 6 total. Fasten off and weave in any ends. 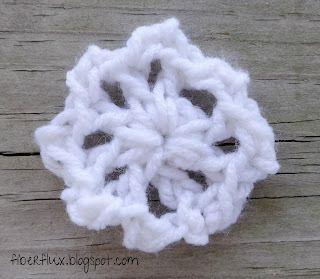 Because the snowflakes are so tiny, you may need to shape with your hands a bit. Round 1: Ch 4. In the 2nd ch from the hook, work one sc. *(dc, ch 2, then a sc in the second ch from the hook). Repeat from * 6 more times. There should be 8 spokes total. Fasten off and weave in any ends. Because the snowflakes are so tiny, you may need to shape with your hands a bit. Round 1: *(sc, ch 3, in third ch from hook, work one sc). Repeat from * 6 more times for a total of 7 points. Note: you can make more or less if you like. Fasten off and weave in any ends. 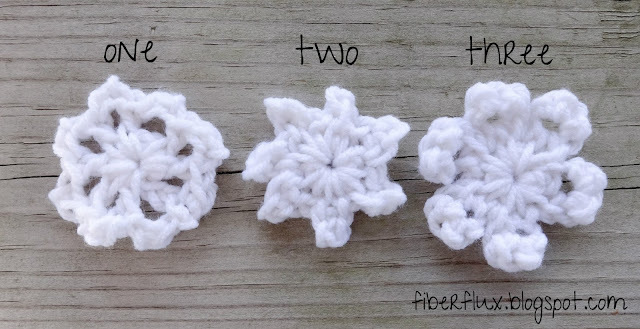 Because the snowflakes are so tiny, you may need to shape with your hands a bit. 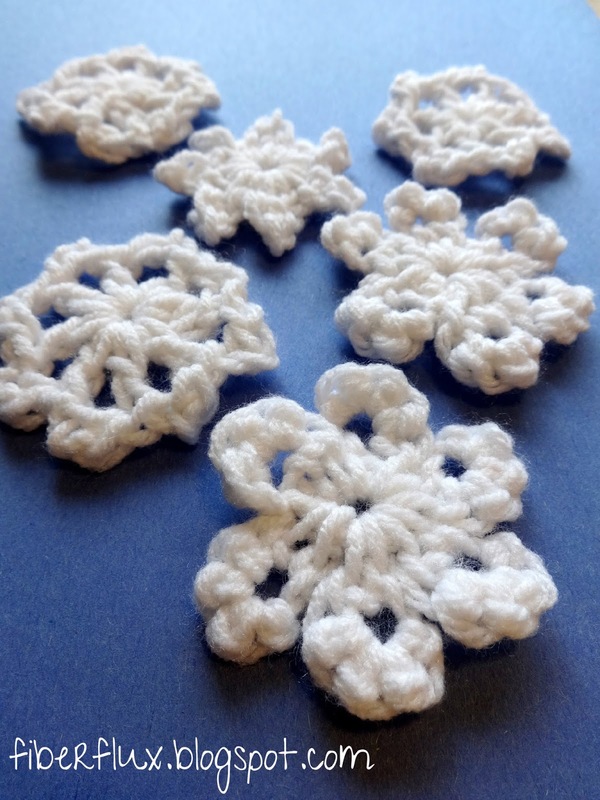 Thanks for the snowflakes! They are my crocheting passion!